I am going to put it out there: fake tan was never my thing. I have once lived in a very sunny country where summers did exist and I would have a glowing tan for the whole year but then moving to the UK happened and so did the rainy days and the cold weather. Since then, I rarely had any summer apart from the average week per year that I would go to Portugal on holiday and so my complexion got lighter and lighter as time went by and that was something I was never too happy about. Because I got so used to see myself in a nice tanned and glowing skin, fair complexion was never my thing and I just didn’t feel great about it. 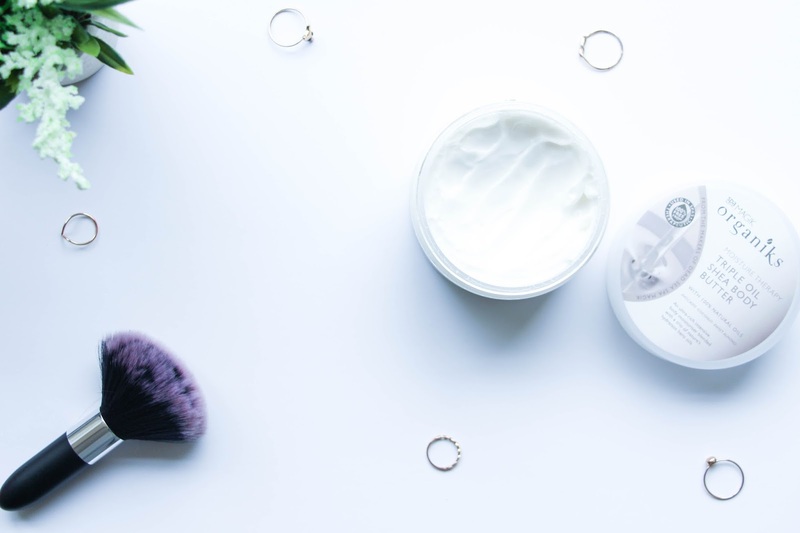 For so long I was too scared to fake tan – I didn’t want orange patches or damaging my bedding (haha) but then the more I read about it, the more secure I was feeling about giving it a first try and when I did, I never looked back. The first and only fake tan product I have used is the Rimmel London Sun Shimmer Self-Tan Mousse and it has seriously changed my life. I wrote a full opinion on it here, if you want to find out more. So, with all my failed attempts, horrible mistakes and patchy skin during my first times using this product, I thought I could now share with you my top tips for a good looking tan – even, golden, glowing. Prep Your Skin. I never used to exfoliate and I would rarely apply moisturizer to my body and when I got into fake tan, I understood how important that was! Exfoliating removes all the dead skin and moisturizing keeps it all very hydrated and smooth. If you want an even tan, you do have to shave, exfoliate and moisturize your skin. So, before I fake tan, I get in the shower and shave. Then, with an exfoliating glove, I rub it all over my body – specially legs and arms – to remove all the dead skin. Don’t rush this step as it is the most important and it will really do wonders on your skin and fake tan. Exfoliate every little area that you feel like you need to be extra careful about (elbows, knees and etc). 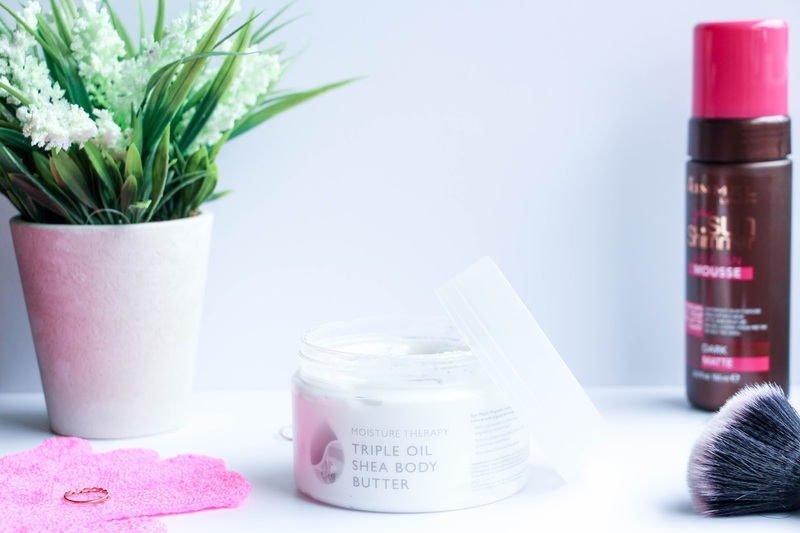 After that, apply your favourite body moisturizer, giving special attention to problematic areas – make sure to apply a generous amount on your elbows and knees for a smoother application. For this, I have been loving the Triple Oil Shear Body Butter* from the Dead Sea Spa Magik Sleep & Moisture Therapy from Holland & Barrett. It is definitely the best body moisturizer I have used so far! Use a Self-Tan Mitt. The days where people would apply fake tan with their own hands or even using gloves are long, long gone. If you want an even and smooth application, get yourself a self-tan mitt and that will help you lots! Get Yourself a Big, Fluffy Brush. Some areas of your body are so difficult to tan evenly that the way that I found to improve this is to blend the fake tan with a brush straight after applying it with the mitt. Make sure to not use an expensive brush as it might get ruined. I really just got one from Primark and it does a brilliant job. So straight after applying the fake tan with the mitt, I go ahead and blend everything with the brush. This also helps the tan to dry a bit faster! Work in Small Sections on Circular Motions. This is specially if you are using a tan that dries supper fast like mine! For you to not to get any marks and uneven application, it is essential to work in smaller sections and when applying the fake tan, make sure to use circular motions to blend it really well. If you notice an area that isn’t perfectly blended but it is already dry, tap it several times with the self-tan mitt and it should hopefully fade – it has been working for me. Everyday Care. For the tan to last as long as possible, there are at least two tips that you should follow: short and quick showers are the ideal so that the tan doesn’t fade as quickly. Applying body moisturizer everyday is essential to maintain an healthy looking and glowing tan. Make sure to moisturize regularly and you will see that your skin will look glowy for longer. And these are my top five tips for a perfect tan application! I am not an expert but I have sure learned a lot about fake tan, all due to my mistakes. If you are a lazy kind of gal, fake tan might not be for you. It takes quite a bit of time to prepare your skin so the application is flawless and the after care is also so, so important! What is your top fake tan tip?